Nathan Prescott is originally from Vicksburg, Mississippi. He attended undergraduate and law school at the University of Mississippi. After law school, Nathan clerked for Judge Joseph Loper in the Circuit Court of the Fifth Judicial District of Mississippi. 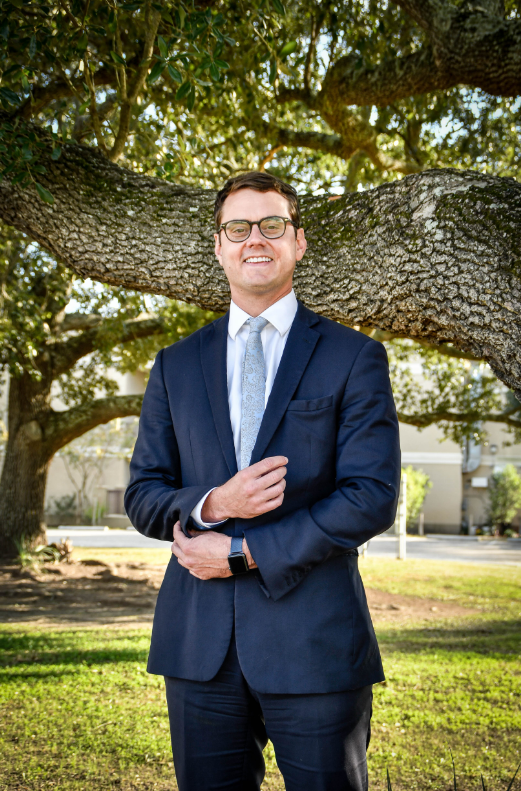 He moved to the Mississippi Gulf Coast and joined the firm in December of 2004. Nathan is a member of the firm. Nathan’s practice areas include will contests, estate and trust administration, civil litigation,family law, and banking law. Mr. Prescott resides in Ocean Springs, Mississippi. John McAdams v. The Peoples Bank, Biloxi, Mississippi, Cause No. 2014-1A-00635 (9-0 Mississippi Supreme Court reversal of Harrison County Chancery Court’s ruling). Cathy Toole v. James B. Peak, et al, United States District Court, Southern District of Mississippi, Cause No. 1:08 CV 1481 (obtained dismissal of plaintiff’s complaint for $7,000,000.00 against president of local bank). Mary F. Snow, et. al. v. Martin Lake Resorts, Inc., Chancery Court of Jackson County Mississippi, Cause No. 2006-2310-NH (suit to force corporate dissolution following alleged oppression of minority shareholders). Saad’s Medical Management, Inc. v. C.G. Taylor Properties, Inc., United States District Court, Southern District of Mississippi, Cause No. 1:07cv1147-HSO-JMR (commercial lease dispute following destruction of leased premises by Hurricane Katrina). Nathan is an avid tennis player who enjoys tournament play and reading novels. He is slowly learning to play the piano.